...my (slowly improving) experience purchasing 2 Dell E1505 notebook computers. Further details to be posted over the next few weeks. Also, new information/posts will be heading over to http://WhatsUpDell.blogspot.com temporarily. This site and the "I believe Dell Lied" blog will remain static until I have a chance to either post something very specific about the "integrated sound blaster audigy HD audio" issue, or until I have the time to clean up these two sites. NOTE: As of 8/30/06 Dell has updated both Dell.com and the Dell Outlet websites to better reflect that the "integrated Sound Blaster Audigy ADVANCED HD audio" option is a *Software Edition* (Software only) package. It is not a sound card. It is a CD with software. It does not "come with" a hardware Sound Blaster Audigy upgrade on the E1505 and some other Dell Inspiron models. Dell still use the word "integrated" which some people may infer to mean "hardware on the motherboard", or "onboard sound" which it is not in this case. To clarify, Dell means they are selling Sound Blaster Audigy software that is integrated with audio utlities into a software suite of audio tools, without Sound Blaster Audigy hardware. The software they provide, virtualizes the "Audigy" features. In other words, it uses your system processor to emulate the features of a "Sound Blaster Audigy" in software. I'd like to thank Dell for making this change to their websites, and hope they will take the extra step to clarify the "integrated" issue. After all, why go only half way? 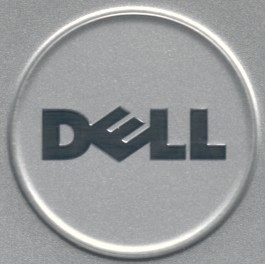 This page's focus began to blur during the process of pursuing a resolution with Dell. So, I have set up a separate blog to address the side issues and updates previously posted here in blog form. You may send me e-mail using the Email address: WhatsUpDell@gmail.com and please, no solicitations, and no flames. If you have something that will help resolve this issue, I'm all ears..err eyes. I'd also like to note, that Dell has recently resolved two issues unrelated to the one below, and seems to be working on a few others, as well as the issue mentioned on this page. Most or all of these other issues will be described and updated soon on the I Believe Dell Lied blog.